The downturn of last week continued into the early part of Monday, as the Dow dipped early by more than 100 points before recovering for a minimal gain by the end of the day. On Tuesday a plethora of weak earnings reports sent the market crashing again, with the Dow registering an almost 250 point loss. The major indexes failed to bounce back on Wednesday, experiencing yet another loss despite encouraging new home-building and home sales reports. 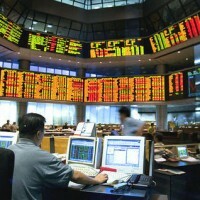 On Thursday stocks earned back a small fraction of previous days’ losses after mixed economic and job-related reports. The major indexes finished the week on Friday with another tiny gain, despite the fact that the third quarter GDP rose by 2.0%, more than expected by analysts. However, investor excitement was tempered by yet more disappointing earnings reports. Stocks opened the week on Monday with a nearly 1% gain following a positive US retails report, the third monthly gain for this important economic indicator. On Tuesday, the market tacked on an additional percent as investor sentiment over the US economy and Spain/Greece seems to be improving. The Dow had its fourth consecutive winning day on Wednesday despite disappointing earning reports from heavyweights IBM and Intel. 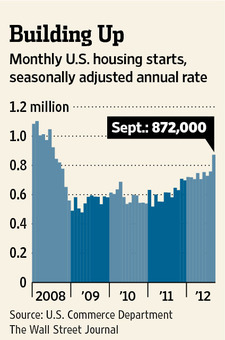 An encouraging September home construction report lends further evidence that a housing recovery is underway. A disappointing earnings report from Google sent stocks down on Thursday, although the losses were minimal. Friday marked the 25th anniversary of Black Monday, the day in 1987 when the Dow dropped almost 23%. While not nearly on the same scale as Black Monday, stocks fell hard on renewed concerns over corporate earnings. Residential construction picked up momentum in September and now is running at its highest level in four years, a turn that could have a positive effect on the jobs market and the broader U.S. economy. The major indexes fell modestly on Monday as investors prepare for the upcoming earnings seasons, which is expected to be a disappointment. On Tuesday the Dow fell over 100 points after the International Monetary Fund reduced its outlook on economic growth for 2012. Another steep decline followed on Wednesday as gloomy earnings from Alcoa seemed to indicate that the overall third quarter earnings concerns are valid. On Thursday the Dow had its fourth consecutive losing session of the week, although losses would have been worse if the initial weekly jobless claims report had not been much better than expected. The Dow barely avoided an 0 for 5 week on Friday by eeking out a small gain. 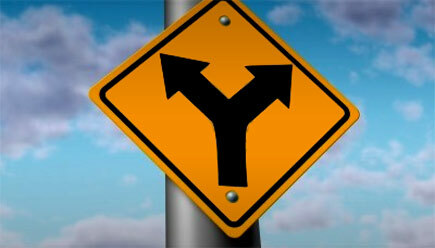 However the NASDAQ suffered its sixth straight losing session. Now add bankruptcy to Kiyosaki’s highly questionable list of strategies. One of Kiyosaki’s businesses, Rich Global LLC, filed for bankruptcy protection in August after it was ordered to pay a $24 million settlement. Kiyosaki will not be putting any of his personal fortune toward the settlement. The fourth quarter of 2012 began on Monday with renewed optimism among traders, with gains registered by the Dow, S&P 500, and NASDAQ. An unexpectedly favorable manufacturing report seemed to be the cause for the uptick. On Tuesday stocks bounced up and down considerably to settle near the unchanged mark after the Spanish prime minister cast doubt on an imminent Eurozone bailout of the country. The market was little changed again on Wednesday despite a report showing that private-sector job growth diminished less than expected in September. On Thursday the major indexes had solid gains once again even in light of a report finding that weekly initial jobless claims increased. Such a gain a was somewhat surprising considering investors’ tendency to be cautious on the day before the monthly unemployment rate is updated. The much-anticipated September unemployment rate report did not disappoint, as the unemployment rate dipped below the 8% mark for the first time since January 2009 at 7.8%. Still, the major indexes did not finish strongly on concerns about more Eurozone woes, this time regarding Greece’s chance to receive additional aid. 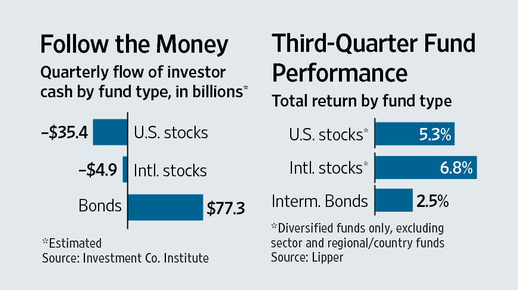 The recent buoyancy in the stock market hasn’t won over mutual-fund buyers. August marked the 16th consecutive month in which investors pulled more cash out of U.S.-stock mutual funds than they put in. The painful bear market of 2007-09 has left investors with a skewed view of U.S.-stock performance. In investor surveys conducted in early 2010, 2011 and 2012, at least 48% of respondents each year said the stock market had been down or flat in the preceding year. In fact, the Standard & Poor’s 500-stock index was up strongly in 2009 and 2010 and eked out a 2.1% return (including dividends) in 2011.